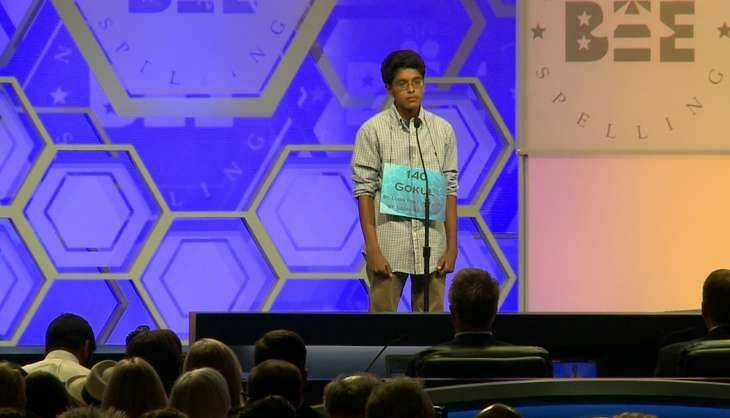 Home » international news » Is the spelling bee success of Indian-Americans a legacy of British colonialism? This year's winners - Jairam Hathwar from Painted Post, New York and Nihar Janga from Austin, Texas - present a familiar combination of co-champions. Jairam is the younger brother of 2013 co-champion Sriram, who also dueled with a Texan to ultimately share the trophy. As a topic of intense speculation on broadcast and social media, the wins have elicited comments that range from curiosity to bafflement and at times outright racism. This curiosity is different from past speculation about "whether home-schooled spellers have an advantage." My interviews and observations reveal the changing nature of spelling as a "brain sport" and the rigorous regimens of preparation that competitive spellers engage in year-round. Being an "elite speller" is a major childhood commitment that has intensified as the bee has become more competitive in recent years. South Asian-American spelling success is connected to the history of this ethnic community's immigration to the United States. For instance, the 1965 Hart-Cellar Act solicited highly trained immigrants to meet America's need for scientists, engineers and medical professionals and opened the door to skilled immigration from Asia and other regions. In subsequent decades, skilled migration from South Asia continued alongside the sponsorship of family members. Today, along with smaller, older communities of Punjabi Sikhs and other South Asian ethnic groups primarily on the West Coast, South Asian-Americans constitute a diverse population that features a disproportionately high professional class, although with differences of class, languages, ethnicities and nationalities - differences that are often overlooked in favor of a narrative of Indian-American educational and professional success. Moreover, the English-speaking abilities of most educated South Asian-Americans clearly give them an edge over immigrants from other countries. My research indicates that fluency developed in English-medium schools - a legacy of British colonialism - makes them ideal spelling interlocutors for their children, despite their variety of British spelling. Members of this population with elite educational qualifications have likewise emphasized the importance of academic achievement with their children. Taken together, this "minor league" circuit gives South Asian-American spellers far more opportunities to compete, as well as a longer "bee season" to train and practice. These parents are as invested in spelling bees and academic competitions as families with star athletes or musicians might be in their children's matches or performances. As several parents explained to me, spelling bees are the "brain sports" equivalent of travel soccer or Little League. In a refreshing shift in tone, this year's topics also included the ferocity of Janga's competition style and the inspiration he drew from his football hero Dez Bryant. In alleging that only "Americans" should win this contest, Twitter racists ignore that these spellers too have been born and raised in the United States. Recent winners hail from suburban or small towns in upstate New York, Kansas, Missouri and Texas. They express regional pride in these locations by mentioning regional sports teams and other distinctive features in their on-air profiles.